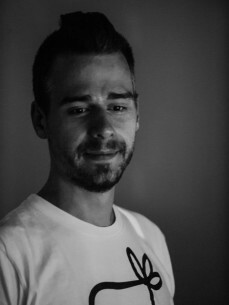 Martin Stimming was born in Giessen, Germany. Playing various instruments like violin, piano and drums when he was 10 years, discovering electronic music 5 years after. DJ Krush and Grooverider provided his introduction into this new electronic sound dimension. About a year later he came upon techno. At this time he was living in Butzbach, a small town near Frankfurt – influenced very much from Chris Liebing and Sven Vaeth, starting to djing and buying vinyl. He soon realized that for him making music was more fullfilling than "just" playing a groove, or mixing a record, so he started to take his production seriously and moved to Hamburg to attend SAE (School of Audio Engineering). Music had become the most important thing in his life. For 2 years, he was the producer part of the Gebrueder Ton, and in this time he befriended Diynamic (a record label from Solomun and Adriano). Stimming's debut on Diynamic was Diynamic 006 Feuervogel EP, which he produces together with Solomun. The man just never seems to sleep. Releasing and remixing all over, right now he is definitely in demand, and its obvious to all why. Everything he touches turns to gold and once again with have a couple of nuggets here for you today.